Mar. 22 (NBD) -- Close the curtains and turn off the lights. Xu Duoyin (pseudonym), lying in bed, opens a makeup tutorial video in his phone, tries to empty his mind and then falls asleep accompanied by the gentle and sweet voice of the young girl in the video. A post-90s key animator, Xu has trouble sleeping at night for quite a long time. By a lucky accident, Xu found the cure to his insomnia, the voice of makeup bloggers. March 21 marks World Sleep Day, an annual event as celebration of sleep and a call to action on important issues in connection with sleep, bringing again insomnia and related health problems under heated discussions. Where the sun sets, hundreds of thousands of people are fighting against sleepless long nights. Statistics of the World Health Organization showed 27 percent of the global population have sleep disorders. 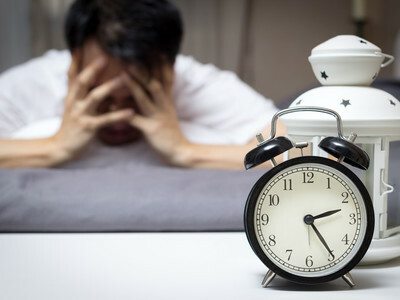 Incidence rate of insomnia among Chinese adults reached 38.2 percent, and over 300 million Chinese people had sleep issues and the number was climbing year by year, according to a survey released in 2016 by the Chinese Sleep Research Society. 28-year-old Xiao Xiao, one of the 300 million insomniacs, works in an Internet firm. It is common for her to work overtime till 9 or 10 O'clock in the evening. And, when she arrives at home at around 11 p.m., she is no longer sleepy. "At the worst, I am lying awake all night till dawn. Hours of tossing and turning in bed. Every minute I am awake is a torment," Xiao Xiao said. Lack of sleep takes a toll on her, giving her dark circles and a tired look. Obviously, Xiao Xiao doesn't fold her hands for insomnia. "In order to sleep better, I've tried various health products and even signed up for spa membership in a salon. I would like to pay as long as I can have a good rest." As sleepless people like Xiao Xiao are tossing about in bed and willing to pay a high price for a good sleep, companies locate business opportunities, launching "sleep-inducing" beddings including pillows, pray, melatonin, enzymes and some tech-driven products. 24-year-old Zhou Jin (pseudonym) decided to "rise up" against sagging skin and lowering immunity caused by countless nights without sleep. She changed to more expensive beddings, forced herself to use the cell phone for only half an hour before bed, sprinkled on her pillow with some "sleep aid spray" and sometimes took two melatonin sweets. Worried about the dependence of melatonin or sleeping drugs, Zhou prefers creating relaxing bedtime routines by adjusting light, smell and sound. "Recently, I'd talk to a smart speaker before I go to bed, asking it to play the sound of nature or tell me a good-night story." Zou Zou, founder of sleep service app Xiaoshuimian noticed that an increasing number of youngsters start to create night-time rituals for better sleep just like what Zhou does. Over the last two years, sleep-aid consumption changes. Instead of resorting to fall-asleep tools only when they can't sleep, people pay more attention to how to relax before they go to bed so as to sleep better, Zou noted.